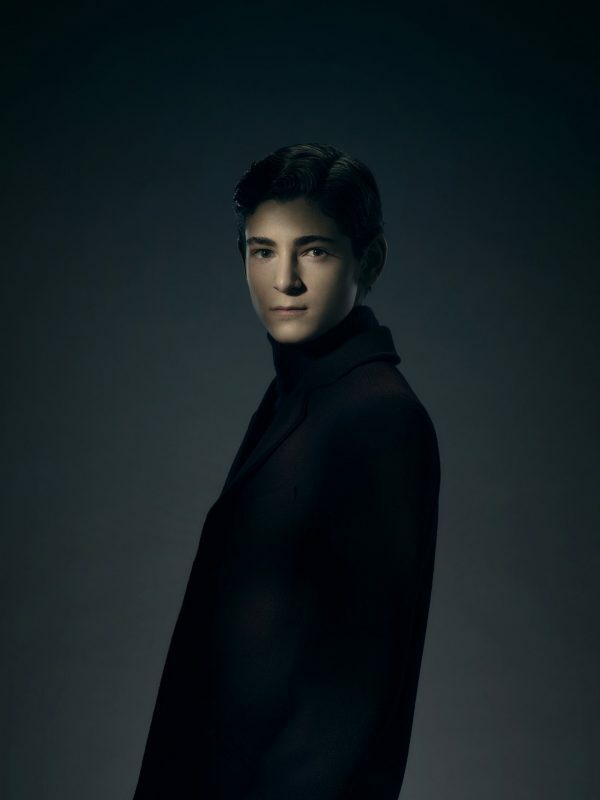 Hall Of Fame July Nominee: David Mazouz – Bruce Wayne / Gotham’s Future Batman. Another month and another easy decision on who to nominate for this months DC World Hall Of Fame. David Mazouz has probably the biggest shoes to fill in his role as teenage Bruce Wayne on Gotham, as we all know who Bruce Wayne is destined to be. So who is David Mazouz? David Mazouz was born on February 19 2001 in Los Angeles California. Has destiny played its part as Bruce Wayne birthday is also February 19th. David has been acting actively since 2010 and I saw David in Fox’s TV series Touch. David was incredibly good in the role as Jacob “Jake” Bohm, who was autistic and his on screen father played by Kiefer Sutherland. But it’s been since 2014 David has played Master Bruce on Gotham. The pilot episode of Gotham, I still consider one of the best pilots to be shown for any television series. With the murder of Bruce Wayne’s parents being done in Gotham’s own style. I instantly knew that they had chosen a fantastic young actor, as the scene is kept simple but powerful as the haunting scream from David Mazouz made it instantly rememberable. I even think Gotham did the death scene of Bruce Wayne’s parents better then what Zac Snyder did in Batman V Superman: Dawn of Justice. Throughout season 1 the character development was not as fast as other characters in Gotham but David brought a lot of young maturity and believable determination to his character. We saw the start of Bruce using his detective skill to find the person responsible for the death of his parents and his relationships with Alfred, Selina and Detective James Gordon developed with interest. 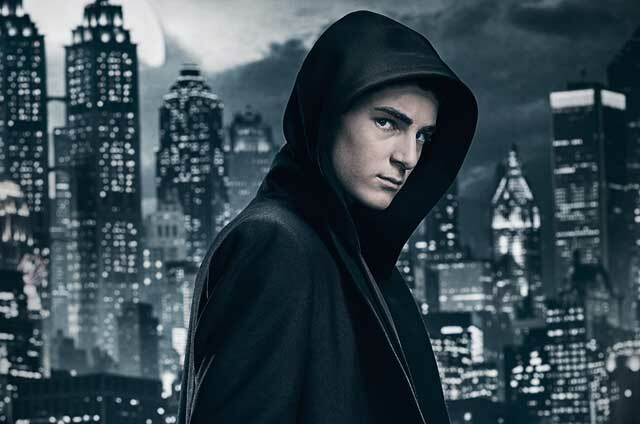 There are many moments in which David Mazouz has shown and deserves to be Gotham’s Batman and wear the cowl and cape,especially in season 4. For me personally it was David range of acting skills in season 2 in episode 14 “This Ball of Mud and Meanness” when Bruce confronts the man possible for his parents murder Matches Malone ( Michael Bowen) David showed so much anger and sadness and this is the moment I could see he fully understands the character of Bruce Wayne and what he is destined to be. With David maturing into a young adult so was Bruce Wayne. David also had the challenge of not only playing Master B but also his doppelgänger, dealing with being kidnapped and wakes up in Temple where he learns the Shaman has plans. Ra’s al Ghul came into Bruces life in order to fulfill his destiny. David interpreted that Bruce not being able to let go of his past brilliantly. While Bruce watches in wait of Alfreds recovery the news report on the television shows Gotham falling apart and Bruce does realise he wants to help the city. In a deje vu moment Bruce watches a family walk through an alley way but he intervenes to stop the possible tragedy he went through. With an iconic moment to wrap up season 3 Bruce stands on the rooftops looking down over Gotham dressed in black wearing a wool mask to hide his identity from the family he just saved. Season 4 of Gotham being named A Dark Knight the title itself was evident that David Mazouz would be getting closer and closer to becoming Gotham’s vigilante. Early in season 4 David was wearing a proto type of a bat suit which Luicus Fox (Chris Chalk) provided from Wayne Enterprises to keep him safe during his rock climbing activities! Again David made Bruce an engaging character in Gotham as his determination to get to the criminals even if they had a license because of The Pax Penguina. We also saw a extremely fun side to Bruce as Alfred encouraged him to be not what his parents brought him to be a billionaire brat. The auction scene in episode 3 season 4 “They Who Hide Behind Masks” is probably one of my favourite scenes. Sorrow was not far away as Ra’s al Ghul made Bruce feel responsible for the death of a young boy Alex Winthrop. 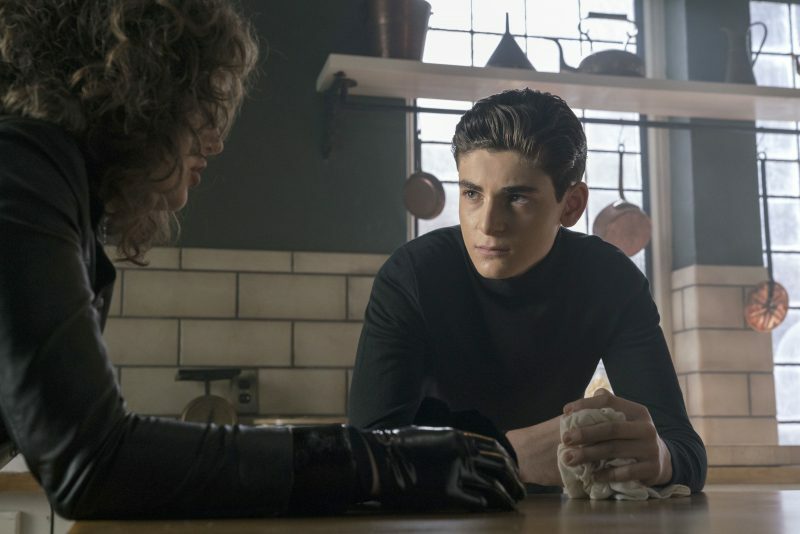 David Mazouz admitted he had the best time ever filming the scenes where Bruce becomes partyboy Bruce after he used the ancient dagger to kill Ra’s al Ghul. But it took Ivy’s poisonous scratch to see a hallucination of who he is meant to be, as a dark figure in a cave stood before him. 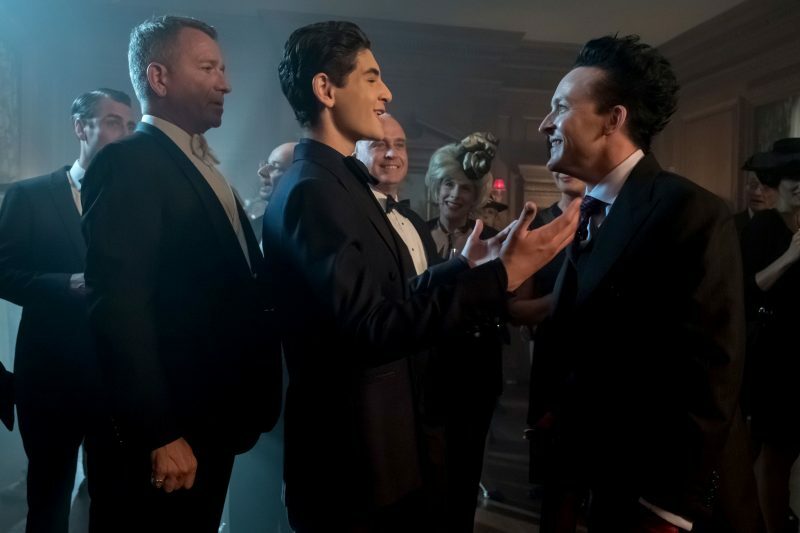 I will finish my reasons for nominating David Mazouz with two final points his acting chops were seen to be incredible again when he shared scenes with Cameron Monaghan. Bruce and Jeromes interactions have always been a highlight in Gotham. But it was the sincere portrayal of friendship that Bruce showed Jeremiah but we all know how that ended up. Ra’s al Ghul returned from the dead determined that Bruce will become his heir, Gotham’s Dark Knight. Gotham now being an island and confirmed a no mans land Bruce decides to stay behind and help the GCPD take control of Gotham. The final scene to wrap up season 4 is an excellent poignant moment between Captain Gordon ( Ben McKenzie)and Bruce Wayne as flood light is put on top of the GCPD “in darkness there will be light”. 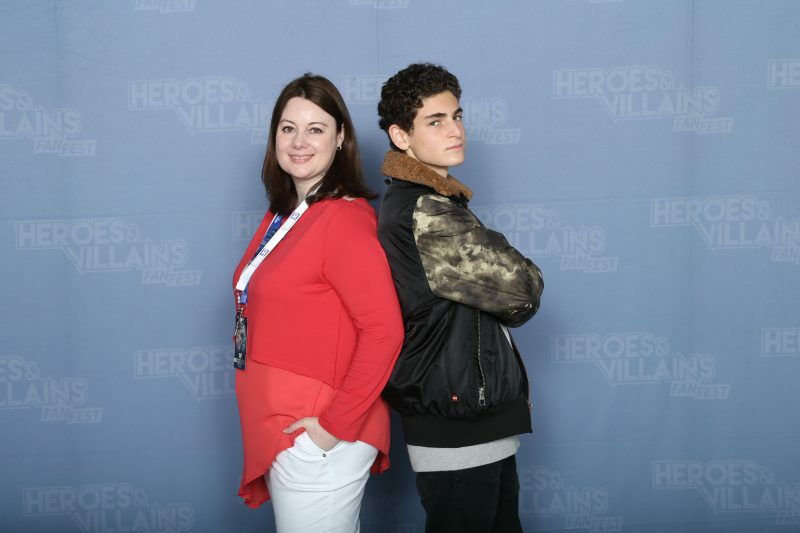 I have had privilege of meeting David Mazouz twice at HVFF London 2017 and 2018. Just like his other cast members he is humble, extremely easy to talk to and appreciates what the opportunities that Gotham has given him. David loves talking about comics and he is eager to hear your thoughts on what you think of Gotham. As Gotham starts to film their finale season on Monday 23rd July 2018. David confirmed at SDCC 2018 his Bat suit will be very much like the Batman Begins suit. He has read the first four episodes of season 5 and has genuinely been blown away with what the writers have done for the final season. If you agree that David Mazouz deserves a place in DC World Hall of Fame after all he is Gotham’s future Batman and one day he could be The Batman the movies.